The human body is a remarkable creation. It is constantly creating new cells and replacing old ones. Even seemingly static structures, like your bones, are always changing in miniscule ways. The cycle of bone growth and resorption is known as bone metabolism, and it can have a profound effect on your smile. An orthodontist in Richardson is here to explain this fascinating relationship. 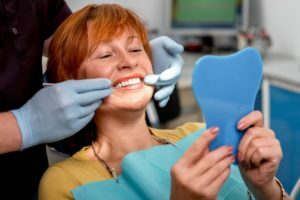 Why You Should Visit Your Endodontist in Richardson Today! Have you been experiencing pain in one of your teeth and telling yourself, “I’ll get around to having it checked out?” If so, the clock is ticking as the year is rapidly coming to a close. That means if you want to use the benefits you’ve been paying for all year, you have a limited time to do so. 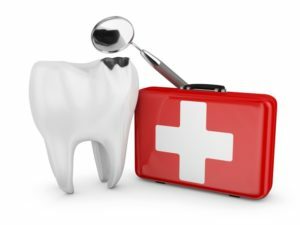 Your endodontist in Richardson explains how dental insurance is usually dispersed and why you shouldn’t hesitate to receive care. Comments Off on Why You Should Visit Your Endodontist in Richardson Today! Are you hesitant to smile for photos or meet new people because of your gapped, misaligned, crooked or crowded teeth? If so, then your orthodontist in Richardson says it’s time to do something about it. 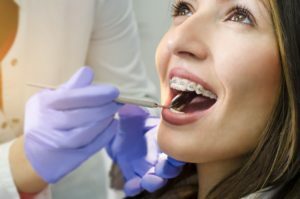 As you read on, you’ll learn about two highly effective forms of treatment to correct your bite issues – traditional braces and Invisalign. Although you never expect it to happen to you, one in six Americans will face a dental emergency this year. If you find yourself in this unfortunate situation, you may not know what to do. 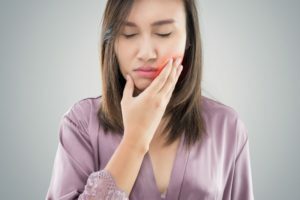 As a result, you may be tempted to wait until your next dental appointment to have the problem treated, but this could result in the loss of your tooth. Instead, it is best to react to the problem at home and then call your dentist right away. In some cases, your family dentist may not be able to handle to treat the problem. You may need a specialist in emergency dentistry in Richardson to repair the damage. If you are dealing with tooth loss, then the most obvious problem is starring back at you in the mirror: a hole in your smile. 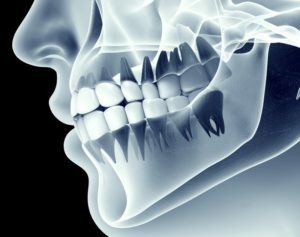 That’s troublesome enough, but there are other things to think about beyond your appearance that make replacing those missing teeth all the more important. 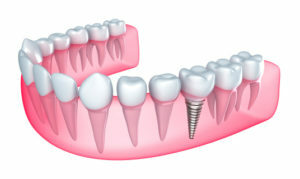 Dental implants in Richardson are truly an ideal way to restore your smile. Part of what makes them exceptional is their construction and the way they can help you avoid several other health consequences. Read on to learn more about dental implants. If you have a tooth missing, then the most obvious consequence is looking right back at you in the mirror: that gaping hole in your smile. However, there are other considerations beyond your appearance that make replacing missing teeth very important. 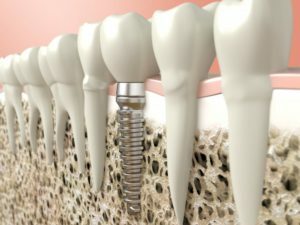 Dental implants are an ideal option for tooth replacement, because they look like just like natural teeth and they can help you avoid several other oral health troubles. For dental implants in Richardson, trust the team at EPO Dental Specialists. When you think of worthwhile investments, what are some that come to mind, regardless of the price? A proper mattress? A reliable vehicle? A high-tech computer for getting all your work done? When you think about these investments, what are some common factors you notice? To start, they both cost a lot of money, but they’re also meant to last you a long time. 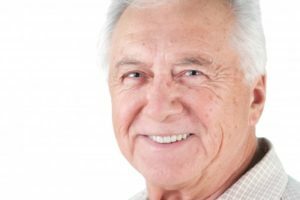 When it comes to dental implants in Richardson, there should be no exception. Unlike the following items, your dentist won’t overcharge you for dental implants in Richardson. You can enjoy the benefits of dental implants for decades, making your investment truly worth it compared to other restorative methods. Looking to Transform Your Smile? See if Dental Implants in Richardson are the Answer! You’ve seen your friends talk about how dental implants changed their lives. Eating foods they loved was easy again. No more dentures crowding their nightstand before bed. They couldn’t be happier. You find yourself pondering if you should get dental implants but aren’t sure if you qualify. Fortunately, it doesn’t take much to get dental implants in Richardson. Your dentist wants to keep you fully informed on the benefits and criteria of dental implant treatment. To find out if you’re a good candidate, keep reading and see how the benefits could change your life! Comments Off on Looking to Transform Your Smile? See if Dental Implants in Richardson are the Answer!